Standard with all QA Deluxe Whole House Fans. Call 888-894-1233 for FREE Expert Advice. Free 2-Speed Wall Switch & 5-Function timer or Single Speed Remote. When you order the new QA-Deluxe 3300 or 4800 you will receive a Free 2-Speed Wall Switch and 5-Function timer. This wall-mounted switch and timer let you start the fan and have it automatically shut off up to 8 hours later. 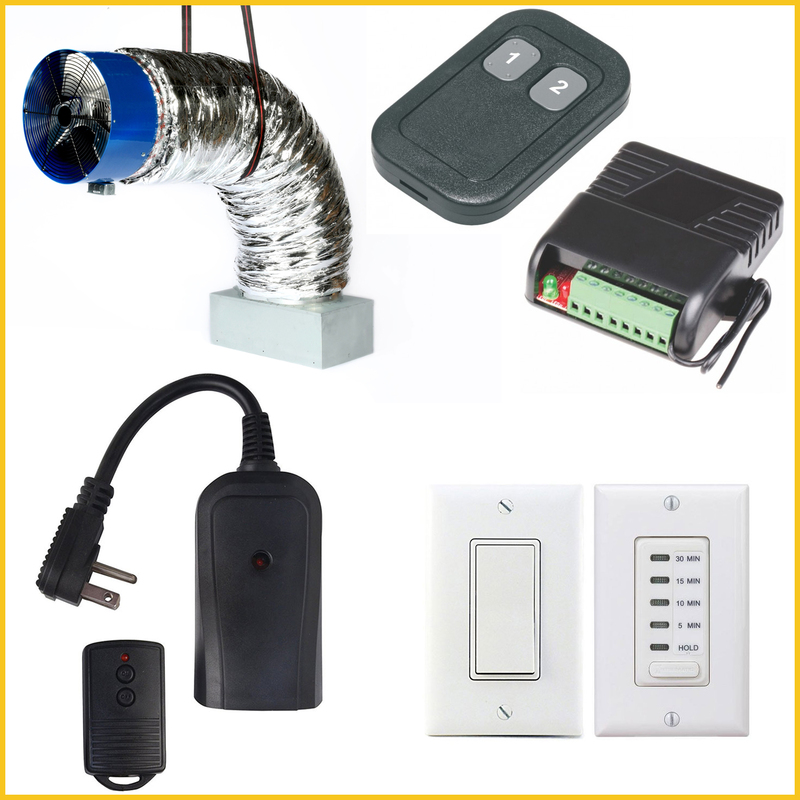 When ordering a QuietAir Whole House Fan you get to choose one of three control options: A One-Speed Remote Control, a Two-Speed Wall Switch and Timer, and a Premium Two-Speed Remote Control. This gives you the freedom to choose the convenience of a remote control beside your bed or the energy savings of a timer, (save even more!). Easy to install and operates the fan. Like the 2 Speed operation and 5 function timer.